If you happen to see the Yiddish newspapers in your local grocery or newsstand then you may think that you're living in an alternate universe. That is if English is your choice language and you consider yourself a mainstream frum Jew. 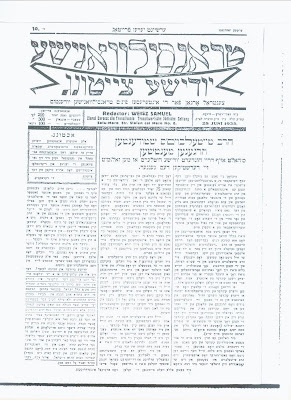 While the Yated and Hamodia may discuss general news or news that affects you locally, the Yiddish papers are busy with demonstrations and protests in Israel. 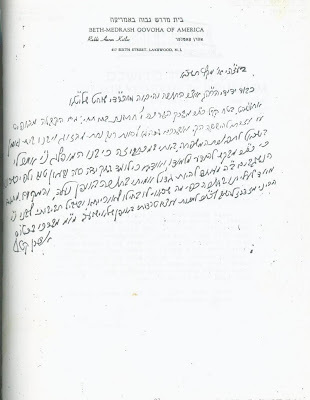 [That and weddings and shidduchim in Rebbishe Hoyfen.] To them this is THE issue of the day, even if only 5-10 people are doing the demonstrating. Which goes to show us how we all live in our little world. Again; I'm not discussing whether or not it's important, just how we all see things.] If you ask Mr. Wercberger from Wilson Street what he thinks are the issues of the day that should concern a frum Jew chances are he'll tell you about gravediggers and demonstrations. He may thrown in some Satmar politics for good measure, if there are any, but that's about it. Which shows us how we're all so preoccupied with ourselves. 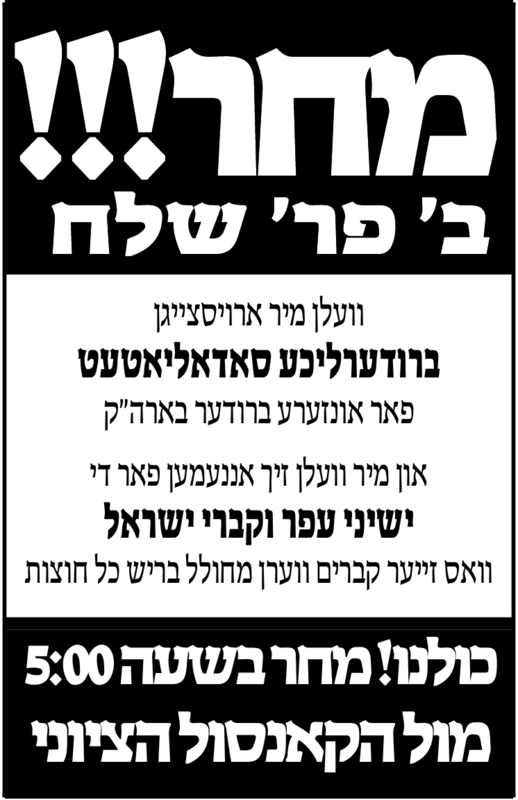 Of course Mr. Yeshivish reads all about the latest riveting Lakewood happenings, such as car accidents, Hachnosas Sefer Torahs, and the latest hachtoroh in Lakewood's newest neighborhood, but he won't necessarily think that his little event is what makes the world go 'round. 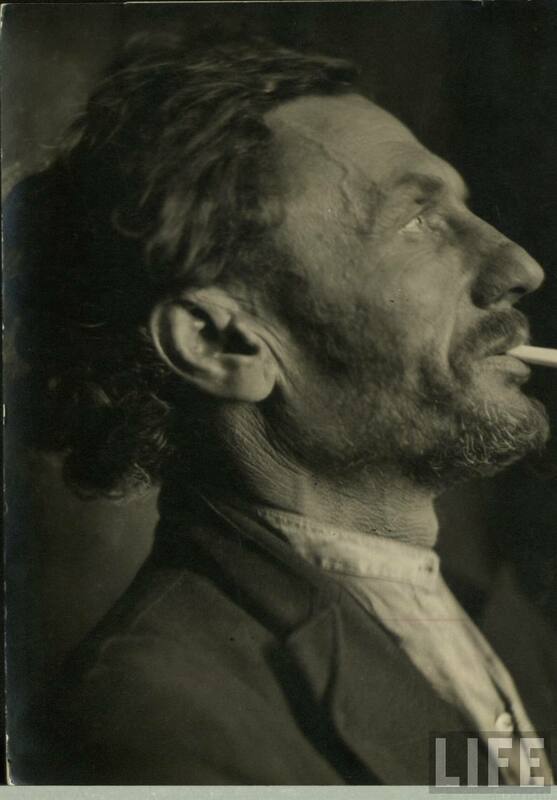 Mr. Wercberger will, and he'll wonder how dare you don't think like he does. 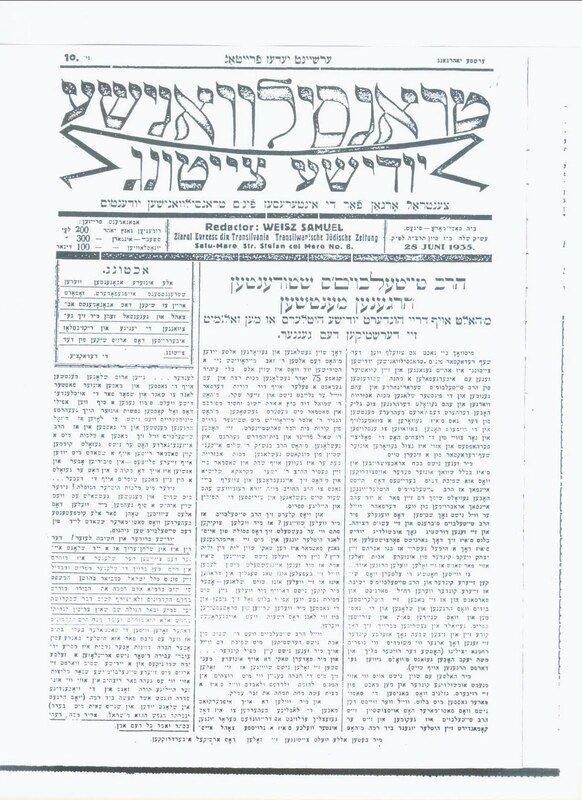 The Yiddish paper tells you that the Yahadus HaCharedis is out there in force demonstrating. You look around. You consider yourself a charedi Jew, and so does the Belzer next to you doing his grocery shopping and looking at the newspapers with you. He too scratches his head and wonders what he missed here. How was it that he wasn't informed about what people like him are doing! At first he thinks that maybe it was on the agenda for next week, but then he sees how it already happened, with hundreds or thousands or hundreds of thousands - depending on the writer's mood - attending! After some thought you realize that nisht dir meint men... 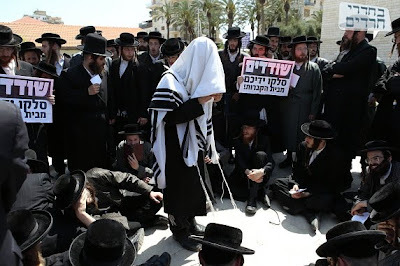 The only Jews that are considered Charedim - that tremble at the sound of G-d and his commandments are those that demonstrate against grave digging. That may be the case - but it sure doesn't make you feel very welcome, now does it? It also doesn't make you want to take time off from work and join your Charedi brothers, now does it? Which brings us to the topic of this thread: who decides what makes you Charedi and what isn't enough? Can I decide that the most important issue in my life is kiruv or checking fish for worms and that it's THOSE issues that make me and keep me Charedi, or do I need to follow either the Agudah or Satmar? Food for thought. But in truth we're all like that - more or less. We may not judge your frumkeit by the color of your socks or the shape of your hat, but we sure would like it if you did what we all do. It's just that they have this way of writing that makes us very, very uncomfortable. Other than that it's all the same. Reb Yoel Ashkenazi of Tverya, [Brother of R' Faivish, HY"D,] who was the uncle of Yossel der Gabbai. Faivish Ashkenazi was killed during WWII. 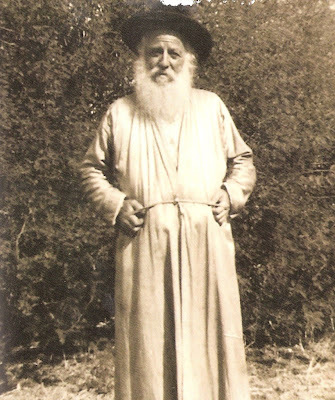 Reb Yoel was the son of Reb Boruch of Tzfas, who was a grandson of the Toltshever Rov and a SIL of Reb Yehoshua Frenkel-Thumim, the Boruch Taam's son. 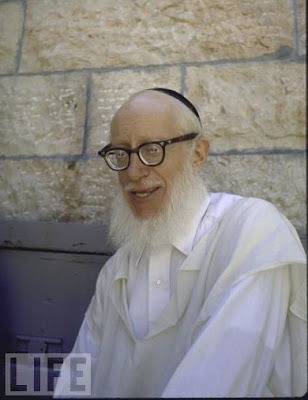 Reb Yoel was an extremely sharp and clever Yid, and the recent discovery of this picture was nice. It was out there, but not like this, in all its glory. So I decided to share with y'all. The cat's out of the bag. The horse is out of the barn. The ketchup's outta the bottle. The secret is out. Nobody REALLY cares. Which means they never REALLY did. They did it back in the 50s and 60s and 70s for all kinds of reasons, and even then it was half hearted, since it was not in their neighborhood. They were afraid not to do, they were pressured into it, or maybe there's was some shock value way back then. But since then they were either bought out or were sold on the ideology. All that's left is a handful of the unemployed and the elderly. Every else cannot be bothered. So what if human remains are being unceremoniously removed and hauled away for research purposes? People are tired of the fighting and don't wanna be perceived as radicals from Iran. They want their Hiloni brethren to like them, so they won't demonstrate and won't burn garbage bins and block traffic. The "zebras" don't really care who they offend, although in person they're the absolute nicest and kindest people, which is weird. You're all scratching your heads trying to figure out where I'm coming from, what I'm talking about and if I'm at all serious or not. So please, let me explain. Here's the story in a nutshell. In Ashkelon and in Yaffo human remains were found when they were doing renovations/expansions/building. In Ashkelon they were found when they were expanding a local hospital. MK Litzman - who's also deputy Minister of Health - tried to talk them, but they wouldn't listen. They decided that they'd remove the remains and build anyway. The Asra Kasdisha people - and the Eda HaCharedis people in general - have a general issue with removing human remains. The issue always used to be that they're removing remains of Kedoshim, Tanaim and Amoraim, no matter if that was the case or not. Asra Kadisha always assumed they were Jewish remains, and the Archeologists always said they were Byzantines or early Christians. After all, there were plenty of Gentiles living in Israel over the years, and many of the burial grounds were of goyim. Then, when they realized that often times they were Gentile remains, they changed their approach, and told the masses that the problem was that if the Israeli Gov't allows the excavations of remains in Israel, then when they try and stop Governments in Chutz LeAretz to stop excavating cemeteries in Europe and elsewhere they'll point to Israel and use that as an excuse. Take it or leave it. The end result is that their excavating remains, whether we like it or not, and only a handful of people seem to care, or at least seem to want to go out there and fight the cops or get hauled off to jail. 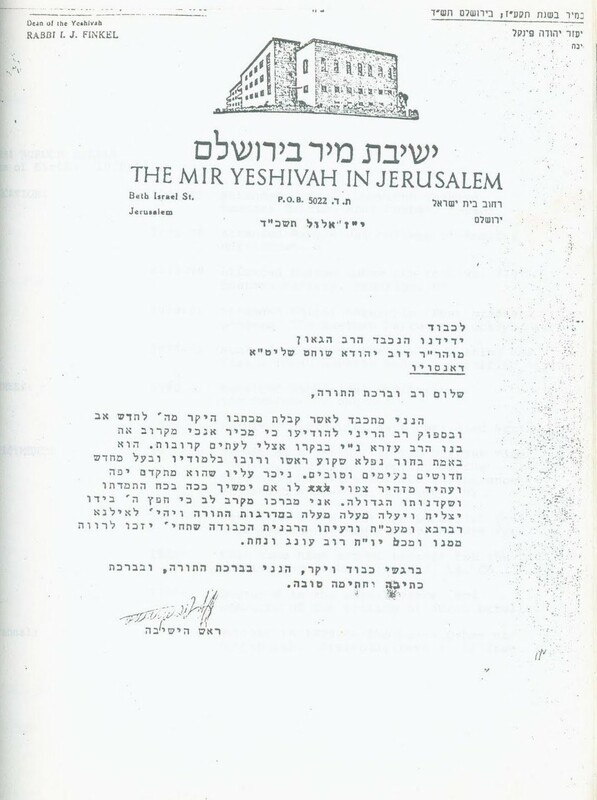 Litzman tried his best using diplomatic channels. 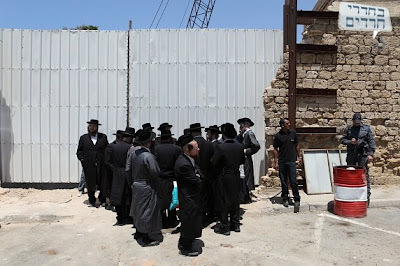 Some people in Ashkelon - which has a large Charedi population - threatened and promised not to use Barzilai Hospital ever again, since the new ER is built on top of those kevarim. Those of you old enough will remember that the same thing happened in the 80s with Bank Leumi, that most frumme boycotted BL, since they were the ones who were responsible (I'm not sure how) for the excavations in T'verya. But for the most part these handful of "kanoyim" are the only ones that either seem to care or at least wanna show the world that they do. Why is that, is the question. I can understand that burning garbage bins and blocking traffic is horrible and counterproductive, but why not go out there and do some good ol' fashioned passive resistance? 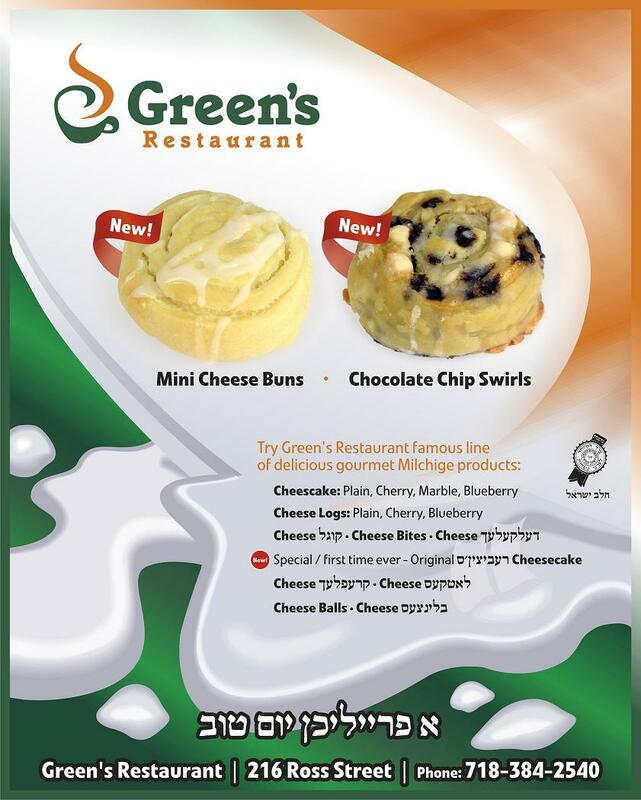 כאמור לעיל, and based on the general consensus both on the street and in the Charedi Israeli press, the frumme in Israel are for the most part tired of looking bad in the eyes of the press and the general Israeli populace. Many of them have daily contact with the irreligious - whether at work or otherwise - (yes, some Israelis do work...) The Eda HaCharedis likes to go both ways; They officially, unofficially don't officially endorse the violence, but they do. 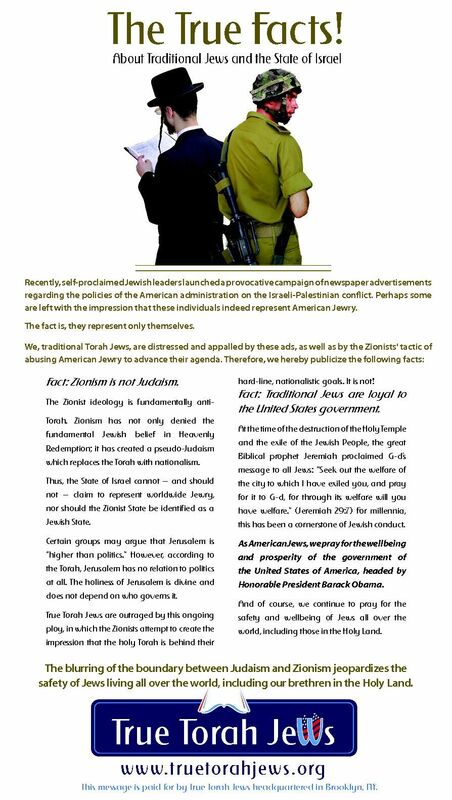 But somehow they get away with the incitement, which is interesting. I guess that's Israeli society for you. There is no shidduch crisis! I am writing to you with the hope that you will spread my message to as many people as possible. As you shall soon see, what I am about to tell you is not something that will be readily published in your local Jewish newspaper or magazine. Of course, news about tragedies and hardships sometimes make for “newsworthy” material – but with a limit. Some tzuros are deemed to be ignored and don’t make for good reading for someone lying in bed on Shabbos after the chulent (and three types of galah, herring and too much mashkeh). Hopefully, you, who often write about subjects that others push under the rug, will have it in your heart to publicize this email. Reb Hirshel, I am an “older” single. My age is irrelevant. What does matter to me is that in the society I live in I am considered “old”. I get the stares, occasionally, and sometimes the kids say ‘you are __ old’, obviously parroting what their parents say behind close doors. I am a quasi-outcast; I am too old to hang with the singles and obviously limited in my interactions with my married friends. Sure, I get the occasional phone call, but the bulk of their time is occupied with driving to and fro the baby sitters, putting their kids to sleep and actually spending (quality?) time with their respective spouses. Maybe on Shabbos they will have me over and donate some of their time to me as I watch them conduct a Shabbos meal with their families. Don’t get me wrong, I have no personal taynes on my friends - I understand that a man’s priority is his wife and family and not old friends, regardless of all the good times we shared in the past and the many times I was a “shoulder” for them to cry on – literally and figuratively. That doesn’t make it any easier. >I know, everything I wrote till now, is common knowledge. Yet, I would like to highlight the degree of loneliness I feel and how I am deemed a pariah by the rest of society. You see my friend, I have several married friends who don’t have children, r”l. I see the looks of despair and hopelessness on their faces. No, I can’t say that I truly understand the hell that they are going through, but in my own unique way, I understand. They also lack status. They still live in their first apartment; in a building with neighbors that are only getting younger and younger. Their friends have moved residents several times, looking for larger houses or apartments to accommodate their growing families. They have no reason to move. I feel for them.Yet, my unfortunate friends have the benefit and comfort of knowing that society is “with them”; people feel their pain, they are not just a topic of conversation. They are looked at with pity that is mixed with a heavy dose of empathy. The reason for this is: it is not their own fault, nor the fault of their parents, in-law or general community that they have to suffer the way they do. They are totally blameless. Consequently, Lakewood (as do many other cities and neighborhoods - HT) has an organization called Bonei Olam that has a huge turnout by its dinner and the baby count gets higher by the day. Everybody feels for these hapless couples, subconsciously fearing that their kids could be next, r”l. Everyone is potentially vulnerable, and by donating money for an expensive procedure – even without a high chance of success – they are protecting themselves. Contrast that with the plight of me and my fellow “older” singles. We don’t feel your empathy, even though many of you go through the motions of helping us; you call us and redt us shiduchim that you would never in a million years consider for your children, and then when we don’t return your calls you label us “picky”. Sure, the Rabbonim signed the Kol Koreh saying the girls should marry older boys and the “crisis” would be solved. 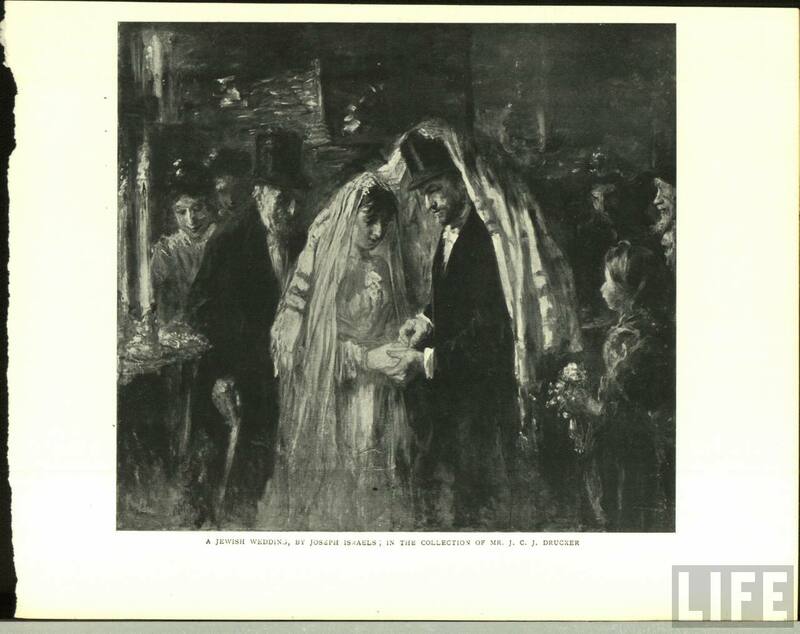 How many of those Rabbonim have their sons marry older girls? I don’t blame them and I am not pointing fingers. However, the truth is that most of the choshi've families don’t have older singles. In their communities and their subcultures they are considered “catches”. They don’t really understand what an older single is all about and it is virtually impossible for them to truly commiserate with our plight. 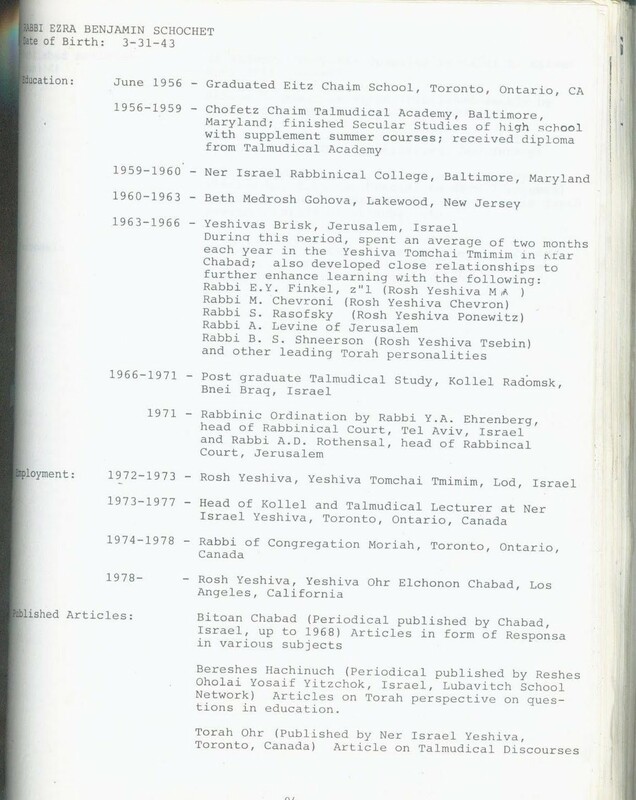 For example: Malkiel signed on the aforementioned Kol Koreh. 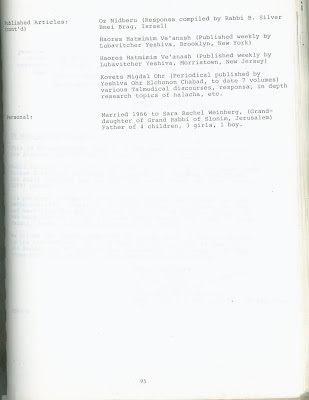 Did he marry an older girl when he was onto his second zivug? No, he married someone more than a decade younger than him. Do people like him know what it means for an older bucher to still be sharing a dorm room with kids ten years younger than him? With the young ones who get engaged a few weeks after the freezer opens and then decorate the room with streamers? How much leeway do they give the older bocherim with regards to having more “private” living accommodations in the dormitory? This just underscores my point that it is hard for someone who is immune from the type of suffering we are enduring to put himself in our place.To digress, to say it bluntly and candidly, there is no “shidduch crises”. There is a group of singles, that is not small, that is largely comprised of boys and girls (or ladies) that were not the biggest catches right when they entered the market – way before they became “old”. The influential families with the trust funds which “guarantee” no dayges of parnassah for generations to come have virtually no older singles. 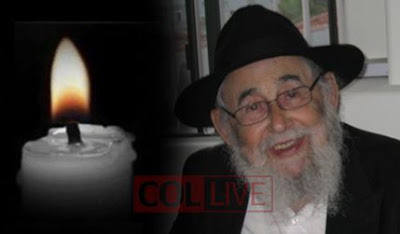 The “shayneh Yidden”, the Roshei Yeshiva and more respected Rabbonim don’t have older singles living at home. Of course, those who are blessed with very good looks obviously don’t “stick around” too long; a testimony of the current values that people have. So which families are more “prone” to having older singles? The “regular” and average ones; the shtileh people who actually are bnei aliyah and don’t get recognition from most of us. Those who are struggling to make ends meet, are very ehrlich, but are not nitztayen in any noticeable quality. They don’t have big heads, they aren’t honored by the dinners, they just continuing growing and making their share in Olam Haba larger. These are the people with the older singles; with the daughter who might have been looking for a short term learner, but is now is hovering around the dreaded thirty mark. She is stuck between the proverbial rock and a hard place. The boy she really is looking for doesn’t exist. Mimu nafshach, if he is older and still holding by learning than the odds are he is much more serious than a “five-year” fellow or the peculiar “year or two” guy – and he is too good for her. On the other hand, if his geshmak in learning is something of the distant memory and he is just treading water in yeshiva, he is obviously not what she is looking for either. This poor girl, or woman, like I said before, was probably not the greatest catch even right after seminary. For the same reason she didn’t go to Bruriah’s place (BJJ seminary - HT) she is still singe. She, or he, might be bright, articulate, kind, caring, contentious, and decent-looking and more importantly – really possess Yiras Shomayim and the values, goals and aspirations of a true Ben Torah and Bas Yisroel. In a certain way, all of that doesn’t make a difference. Unlike other problems which might happen to the shensteh mishpuches – this one doesn’t. Society looks at us and says Mazluch Gurem. Just as the less fortunate don’t have the same quality health care as the faynshmekers, can’t get their kids in the same schools and are regulated to the proverbial back of the bus of society, they can wait their turn when it comes for shidduchim. I thank the anonymous sender of this document. Even something as simple as a few generations of a recent Rabbinic family is difficult to copy paste correctly! The family tree is difficult to read, but the mistakes are in the written parts. 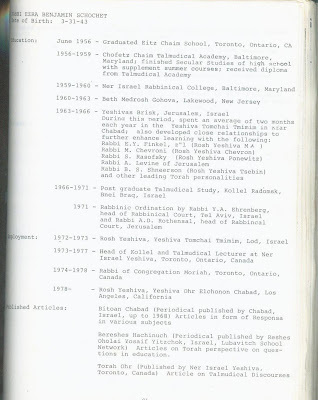 See the Tzemach Tzedek's descendants for one example; Reb Yisroel Noach was NOT connected to Ovrutch, it was his brother, Reb Yosef Yitzchok, the Rebbe Rashab's shver, who left his father and traveled to Ovrutch to become it's Rov, as per the request of his shver, Reb Yaakov Yisroel of Tcherkas, son in law of the Mitteler Rebbe, N"E. That too was embroiled in controversy, as the Tcherkaser's brother, Reb Aron Tcherbobler, also had a candidate for that city's Rabbonus. I'm a lover of Yiddish. the Yiddish language that is. Not so much the Forverts version of Yiddish, and I don't really care for Yiddishe Lieder that sing the praises of Socialism and other such ills, but the rich Yiddish that was once spoken by many of our forefathers. Come to think of it my forefathers never spoke that Yiddish, save for maybe one who learned in Chassidishe Hungarian Yeshivos and was influenced by Chassidus despite his Oberlander parents. But my childhood - in Spinker Cheder was what started me with Yiddish and it's grown on me ever since, with a new appreciation over the last few years. An appreciation of those who speak it well, that is. 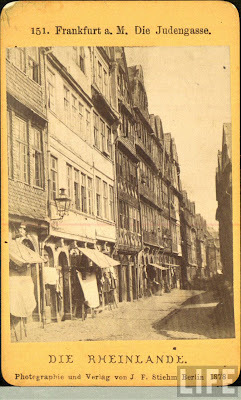 As a matter of fact; until I was 14 or so I spoke very little English at all, neither at home nor in Yeshiva. 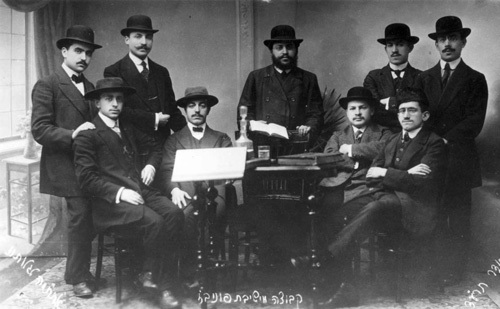 You might say that I feel, like others do, that Yiddish is a major connection to our glorious past and to the people who lived at that time, and it helps us stay on track. It may not be all that's necessary but it sure helps. Not for nothing did the Yeshivishe velt come up with Yinglish, where as many Yiddish and Loshen Kodesh'dige words were put into the language. They saw that Yiddish may not work for all, but they sure would instill as much of it as possible in the generations to come! Somehow an old time Yiddish film was never on the verboten list like the secular ones of today. Before the age of YouTube I once saw "Tevye Der Milkhiger" from a video that was borrowed from the Brooklyn Public Library, as well as several other Yiddish films. What can I say? I'll be brutally honest with you guys: Somehow, when you watch it you convince yourself that nisht dos hut men gemeynt when they assered movies! The actors dress Jewish, they act Jewish, they even speak Jewish! What could possibly be wrong with watching this?! It's like watching one of the Groweis Israeli films, just with women as well.... And to top it all off there's a very important and positive message to the film, I think. The message that no matter how far you stray you can always come back home. That as long as you breath there's hope for a new beginning, no matter how much grief you've caused those that are close to you. I hope to do a review of "Tevye der Milkhiger" soon. So some guy went and uploaded several Yiddish films to YouTube recently and Tevye was one of them. Boy, was I excited! (I cannot thank him enough) I wasted precious hours watching it again and again, as well as some of the other films uploaded there. I'm no film critic, but his performance is one-of-a-kind, mit alle pitchefkes. Rich, concise, and right on! The language, the idioms, the movements, it's all wonderful! The local non-Jewish populace is seen like they were seen by their Jewish brothers at the time... Most of the Jewish ceremonies are portrayed more or less correctly - albeit somewhat Ameratzish, but that may be deliberate, for all I know. Or maybe it was the fact that SCHWARTZ himself left his native Sudilkov at 12 years old and sailed to New York. We even have Schwartz serving as a walking, talking mussar sefer by him accepting his lot even when his daughter leaves the fold and his wife dies from sheer anguish. 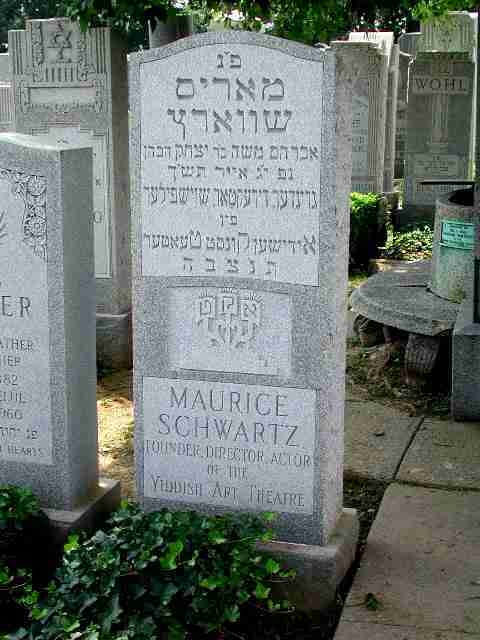 So after watching Schwartz in "Tevye," and then in "Uncle Moses" I did some searching about Maurice and found that his Yohrtzeit was that very day - Yud Gimmel Iyar, and 50 years to boot! At first I was gonna organize a minyan at his resting place, maybe get somebody to say kaddish for him, but that wasn't happening, so I tried to get a friend to come with me, but even he was too busy. So I doubt that he had any visitors, which is sad. Maybe I should've tried harder. But I will you ask this much: if you're ever at the MHC and get the urge to do a mitzvah there walk over to to his resting place and say a kapitel tehillim for Maurice. I'm sure that since he's ofen oylam ho'emes now he'll appreciate it very much. The view and opinions expressed in this thread are not those of the publisher of this blog. It's easy to sit back in our armchairs and to cast aspersions on Chabad. We are quick to point out that they are lacking leadership since the Rebbe’s stroke and are suffering the consequences. It is easy to point the grubeh finger at others; it doesn’t cost money, we can comfortably preach it to those who agree with us and more importantly, it is just talk; it doesn’t affect our lives one way or the other; it is like being anti-Zionist in a suburb of New York City. However, what should be close to home is the current state of leadership in our world; who makes the big decisions pertaining to matters that affect the most people. 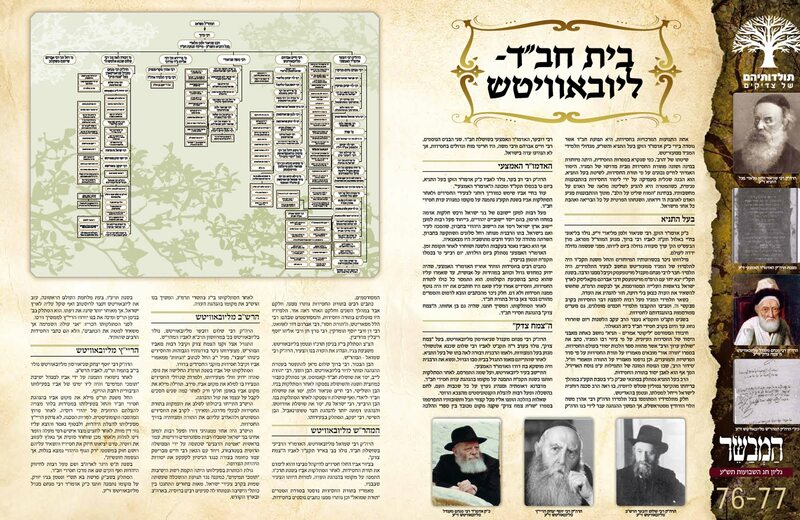 The whole Rubashkin fiasco has been largely spearheaded by R' Pinny Lifshitz from Monsey. RPL takes this matter very seriously and urgees us to do the same. 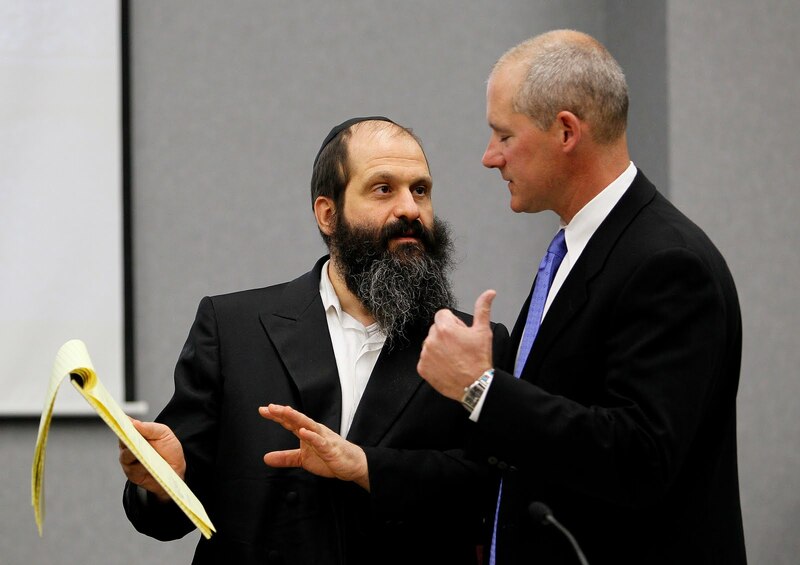 His argument is, simply put, twofold: Rubashkin is a very special person and he is being persecuted because of his religion. Each reason on its own is cause for our involvement and surely both of them together should galvanize us to action. The problem is that the materiality of both causes can not coexist. If this is a case of anti-Semitism (and we might be next, r”l) then it is immaterial how much chesed he does, what time he wakes up in the morning and how much mussar and Chassidus he learns. 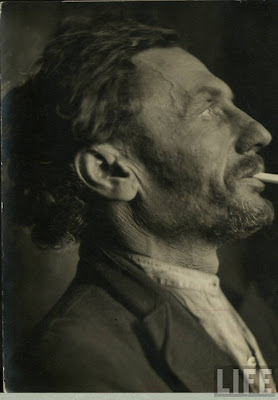 If he would be a regular person like Beilis, we should still follow in the way of the Chazon Ish and write a personalized letter to the government protesting the way his case is being handled. Furthermore, besides for telling us about his tzidkus, we are hearing how he is being mistreated in prison by the denial of his religious rights. This is de-ja-vu all over again. We heard similar claims when Shlomo Helbrans was incarcerated. In that case, he was treated with kid gloves by the prison administration and many exceptions where made in his favour. This was because the pressure was put on by the altruistic do-gooders. We were told that we must make this tzadik’s stay in prison more comfortable; he is innocent and being persecuted by a malicious government. 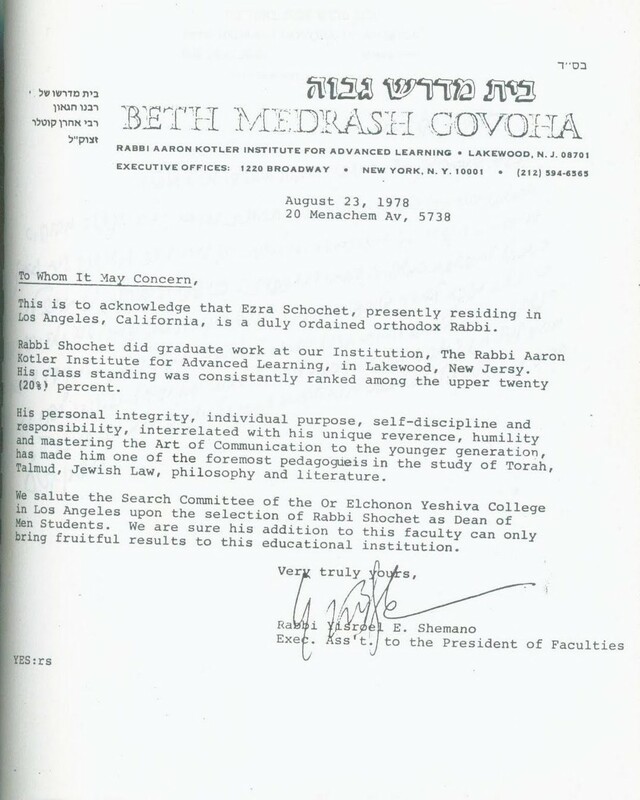 The people who vouched for his tzidkus and even visited him in jail are far more prestigious than Msrs. 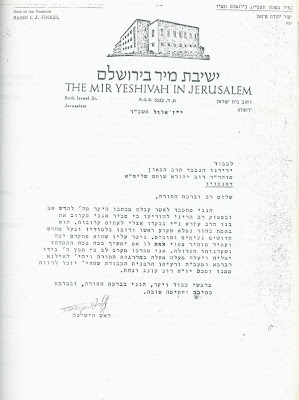 Lifshitz and Besser – now we know the truth about that man - Helbrans - and that case. Even if it is true that he is on the proverbial stake because of his faith or ethnicity, it is debatable if all the publicity is actually helpful or counterproductive. Obviously, one would have to have first hand knowledge of the facts on the ground, the key players and the inner workings of the system, in order to make a competent decision as to how to alleviate this poor fellow’s plight. Additionally, even armed with all the pertinent facts, it is imperative that the decision maker has a firm Mesorah relegating a Yid’s action in golus, coupled with a heavy dose of sechel, keen intuition and overall sharp decision-making abilities. It is possible that his heart is in the right places, that he actually feels for Sholom Mordcheh and for the Klal in general and is not enjoying the publicity. However, that is obviously not sufficient. In the days when Reb Elya was in charge, Lifshitz, who is a Reb Elya guy, would not be in a position to make this decision on his own – it would be Reb Elya’s call. In such a case, one can be more comfortable about the whole way this is handled. Unfortunately, in our current situation, the ball is in his court. The Tzig under a two-pronged attack! What gets me about this attitude - and I might be wrong on the Kagan issue - is that these same people have issues with Jews in Postville being insular, sticking to their religion, not mingling with the locals. I guess Sholom Mordche should've known that he would need to kick back and enjoy some cold ones with Farmer Brown every now and then. Later on, coming to Postville and North Dakota and Cedar Rapids during the trials of Sholom Mordche was also terrible, they said. He should be there by himself, they said, why should we stick it to the goyim by coming out there and showing our support to him. It'll only make it worse for him, they said. We're being too pushy, they said. When they organized minyanim at the sentencing hearings and the pictures were broadcast over the news wires they told us that the guys should daven in a shul - in Cedar Rapids, mind you - and not infuriate the prosecution even more. Besides for the fact that I never thought that we'd be judged by the scene at the trial - excuse me for thinking that facts and evidence were the only factors - I cannot sit here and not bring to your attention the utter hypocrisy of those people who think that being insular is what causes Antisemitism, not disproportionate power. If you think it's not hypocrisy, but, rather, stupidity I'll agree to that. But what are they thinking?! 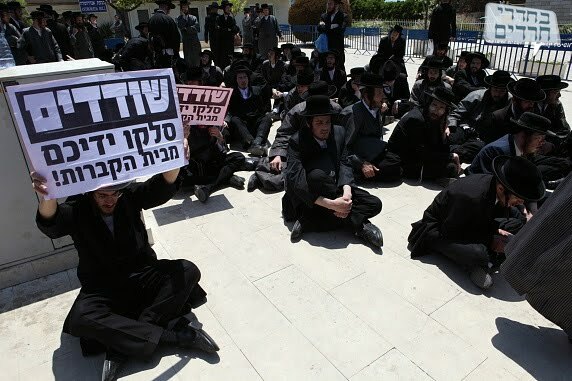 These are supposed to be educated people with degrees from America's highest educational institutions, not boors like the Haredim who never stepped out of the Ghetto! Why don't they see what's so clear?! Some of you have complained to me about the amazon widgets we had here; how I never updated them, and how they bog down your browsers and cause them to crash. You spoke and we listened, friends. I've recently removed almost all of them and have replaced them with ONE "deal of the day widget," as well as one ad for the Amazon Kindle. If the deal of the day happens to be offering objectionable material please excuse me, since I'm not in control of what is displayed. Amazon is. Needless to say I do hope that some of you click on the amazon link when making purchases at amazon.com for yourself or loved ones. That way maybe I'll get a bone or two thrown my way from the good people at Amazon by way of me getting a little bit of commission. I'm not asking for you to click stam azoi, just when needing to buy from there. זה נהנה וזה לא חסר. OK. I've also updated the list on links you see on the sidebar and removed those inactive blogs as well as those that were deleted from the blogosphere. I do ask that those that I have listed please reciprocate and place on your blogroll as well. I know it sounds unimportant, but at least it tells me that what I did for you was appreciated. 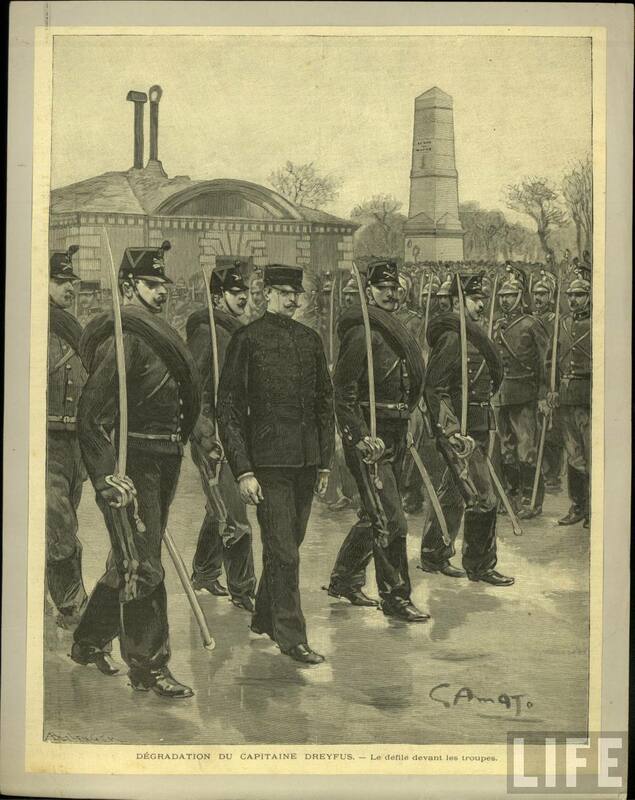 Blog from the "Child Labor" trial in Waterloo, IA. If you think the average goy in America is upset about Israel, think again. 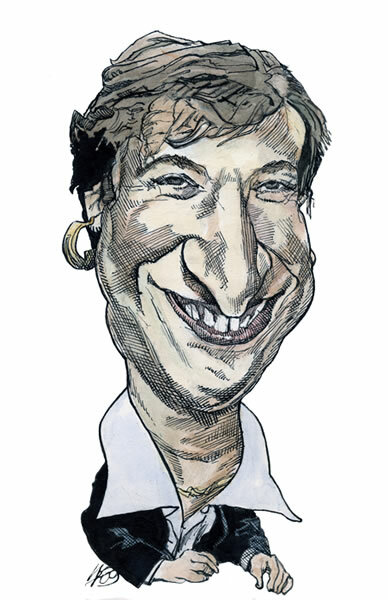 Today's nomination of a typical Upper West Side Jew for the SCOTUS would make my blood boil - and it sort of does. The disproportionate amount of Jews in Government was bad enough, now it gets even worse, and in the worst possible way. 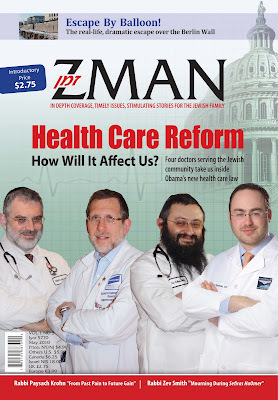 It's one thing to have influential Jews in the media and in elected positions of power like Congress, but to have them in the judiciary - where the American people have no say, despite the hearings that take place - is too much already for a man in, say, Cedar Rapids, Iowa, to bear - especially if he's unemployed or facing foreclosure. Times may change, and technological advances may make our lives more simple and easier to deal with, but the facade that is the human being can only take so much. We may have not reached that point yet, but it may very well come - and I'm sorry if I sound like Meir Kahane here. And if that day does come you know who they'll come for first, it'll be the Jew, just like it always was. The question is only how we'll respond to it; if it'll be 1939 all over again or not. What I really don't get is how it got to this point in the first place! How did the goyim just lie down and take it from us? Was it the everlasting guilt that they have, which have with the Black Community as well, or was it the slow and constant reprogramming of the young American mind, both in schools and Universities since the 60s? Either way they managed to do a job on the American people, that even a (half) Black President also is surrounded mostly by Jews and now - after throwing a bone to the Hispanics with the Sotomayor pick - goes back to elevating Jews to positions of great power. I'm kind of surprised at myself here; surprised that I'm so bothered by it, that is. Maybe it was that discussion I had on Motzoei Shabbos with a friend on a long drive to the country. Maybe it's the Rubashkin trial - the Dreyfus trial (in the opinion of many) of our time. In any case I cannot believe that people don't have issues with the favoritism shown to one group over others, even if that group is mine. Having said that I guess it's safe to assume that the good people of Natruna will now write a long and strong worded letter to the Honorable President Obama attacking him at least on the Hisgarus BeUmos front, telling him how his choice of EK, a secular, Liberal Jew who probably dislikes what most goyim in America like, is terrible for Jews, and will cause a backlash of anti-Semitism the likes of which we've never seen. She's without question the woman who will makes lots and lots people very, very angry, and the fact that she's a member of the Jewish People will make it even worse. We need Natruna to step up to the dish and save all of us. They have the money, the people, and apparently the will to save of us from our enemies, both within and from the outside. They're saving us from the Zionist angle, now they need to do it on the home front. Settlement building in Beitar and Ramat Shlomo is bad, yes, but telling millions of goyim they can't own guns or celebrate their holidays or pray or other such decisions makes that into child's play. I expect a full page ad in the NYT and WP by Sunday. You may have seen the new Z'man magazine at your newsstand or supermarket. You may have been intrigued by the $2.75 introductory price and bought it - for the wife and kids, of course. You, of course, have no time for it. What makes this different from all other frum English language publications is that it's packed to the gills with real reading. No fluff, no rambling on about unknown characters (or little known) who "revolutionized" and "pioneered" this and that. No preaching to the choir, and no interviews with guitar makers. There also seems to be no agenda here; which is amazing in this day and age. No "I'll scratch your back if you'll scratch mine," and no paid advertorials that look like real stories. No press releases either. Just good reading. Long reading. Reading that can take a month of Shabbosim to finish, which is good, since it's a monthly magazine priced right - check that, it's basically a small book, not just a magazine. Reading that gives you all the facts about current events and issues that concern and interest many of us across the spectrum of Jewry. And best of all most of the issues are general ones, not necessarily of Jewish interest, but definitely of interest to Jews, no matter what background. I was skeptical at first, not imagining that a new Heimishe publication could bring anything new to the table, but I was pleasantly surprised. Instead of a plethora of boring stories and features, what we have now is a few stories and current events that let you get the complete story, not some sanitized abridged new-age version with catch phrases. Issue 3 is way ahead of Issues 1 and 2, and we can look forward to the improvement from month to month based on the progress it's made in its short history. An anonymous reader's comment made me realize that the topic here needs to be discussed and these lunatics - the ones that sponsored the ad on display here -exposed for what they are - Jew-haters minus the Arab scarves. They even kept most of the name, Natruna, so that they sound like Neturei Karta! We talked about Hirsh & Co., but these people may even be a greater threat, since there's less hugging of Hamas going there. Everything about them is the same; the language, the catch-phrases and the general disregard for Jewish life. The only reason they exist is because the ones who travel to Iran make them look bad, so they made a sorta toned-down version of the same group with the same ideas and the same lust for "Zionist blood." I'm not sure when this became the norm in Satmar; They were always very anti-Zionist, yes, but it was mostly when there was something to demonstrate, like when there were archeological digs in Israel and Police brutality when the digs were protested, or brutality at the Shabbos demonstrations. But as far as I know there wasn't this thing about protesting the existence of Israel or its policies about building in East Jerusalem or the Peace Process. These Natruna people pop up every once in a while and give the rest of us the absolute jitters with their rhetoric - whether spoken or in print. Natruna is as close to Satmar as it gets. It's like Shaar Press and Artscroll, if you will - official and unofficial at the same time. When pressed against the wall Satmar can always claim that it's not them, so when the next boycott against the CRC (Hisachdus) is mentioned, like it was several years ago, they can always claim innocence. But it's a Satmar production, make no bones about it, and considering that they have other major issues on their hands; the fact that they have time and money for this is quite intriguing. 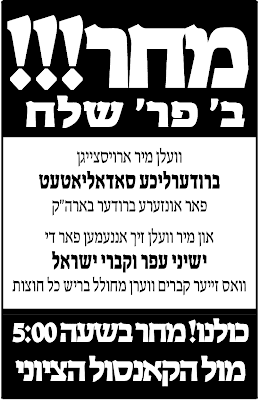 Maybe one commenter on HydePark's Kol HaOlam Kulo forum summed it up right: All others have minhogim and k'peydes that they have, Levushim that they're so makpid on, and even the "Gor Veite Lubavitch" has what it does and insists on, and does it mit a shtoltz! What do we have? he asks. All we have is Emunah. The Emunah needs to be "rein," and it can only be so (not by believing in G-d, mind you) by fighting Tziyonus... Therefore, he says, we need to support the people of Natruna, he says, and fund them as much as we can. We spoke about REBS and his connection to Baltimore and Lakewood and Brisk, but there were uncertainties. Years that he attended certain institutions of higher learning were unclear and disputed by the skeptics amongst you. 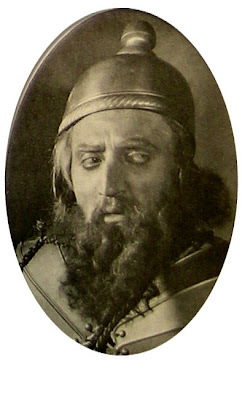 There were claims that the relationship with RAK was untrue due to his young age, and that it ABSOLUTELY could not be that RAK knew him, held of him, and said certain things about him. It was all an after-the-fact revision by Lubavitch to try and show how they snatched away the good minds from Lakewood and others. So we did our homework and found several supporting statements to back up what we had said here a while ago; namely his time in Lakewood and Brisk, his relationship with RAK and the latter's feelings towards him and towards his future standing in the Torah World, as well as what other greats had to say about him BEFORE he was farchapped in the terrible web of lies and deceit that is and was Lubavitch, since time immemorial. 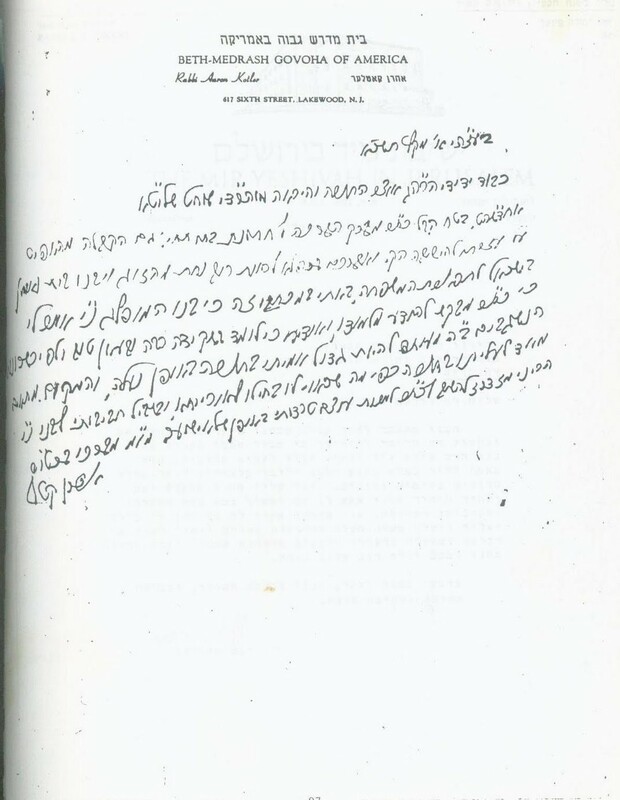 a letter written by RAK to REBS's father in Toronto, telling him how his son is excelling in Torah, and how he's destined to be one of the "true" Torah giants, באופן נעלה, thanks to his good kishronos and intense studying - בשקידה רבה. Come to think of it that really was a good catch by Lubavitch! After all, I don't think his intellectual capacity was diminished any later on, and if he was a Gadol in the making in 1960 then he only improved in the late 60s, and was close to a Gadol by the time he joined Lubavitch, no? Oh, but I guess he lost the Daas Torah that he almost had... Ok, no more sarcasm. If you'd like I'll let you frown on the letter from REYF and tell me that it's a generic, typed letter, that shows really nothing. He does mention how he visits with him frequently and is mechadesh fine chiddushum, but REYF clearly stipulates that the bright future that he predicts for REBS will only happen if he stays on the true path. If you want you can argue that he didn't - whatever makes you feel good. How's that? 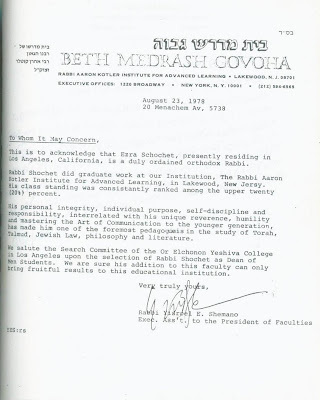 Do as you wish with Rabbi Shemano's letter of recommendation; he was being nice, didn't wanna hurt another Yid's parnosoh, since he was "applying" for the Or Elchonon job, he had rachmanus on his father. Take your pick. Again, whatever makes you feel good. When we were growing up Moshe Hirsch was Public Enemy Number One. Yes, there were zealots who hated the State, or at least said that they did, but nobody was like Hirsch and his few cohorts. Yisroel Dovid Weiss was still eating Haagen Dazs ice cream and never dreamed that he would one day meet Arafat and Ahmadenijad. Moshe Ber Beck was selling Tikunei Zohar and Strasheler seforim - or at least it was another guy that was chucked from Toldos Aron who looked and dressed like him. And the internet was not yet born - or was in its infancy and was limited to the Military, so we hardly knew about every 2-bit guy who decided he would save the Jews from evil Zionists. Hirsch was the man, the one who did what he wanted and listened to nobody, and he was hated by almost every Jew in the Holy Land, and by extension, the rest of the world. They say he was heavily influenced by Reb Elchonon HY"D's writings. I remember his "talmid" Chaim Tzvi Freiman (another American kid who "found" Neturei Karta in Israel) would visit a neighbor of ours and had Palestinian flags in his shopping bag for all to see. Even Arafat probably didn't have one in his office at that time. OK, maybe HE did. It was interesting to watch the reports of his death today and to see the responses of some people, especially frum people. Many of our brothers wished him the worst, even today, and had no comforting words to say to his grieving family either. 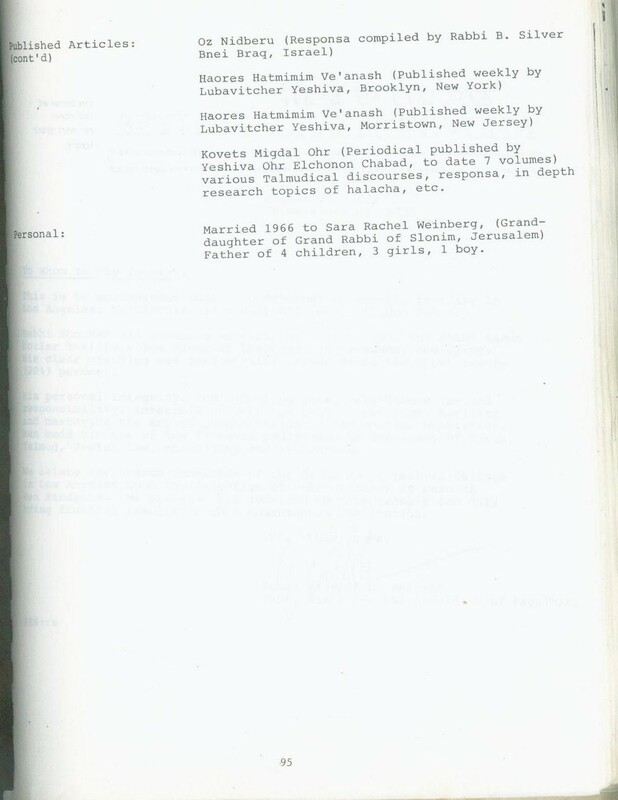 Then there were the jokes about him getting the 72 just like a Shahid would get, a sort of "honorary shahid," if you will, and the questions of how he was "allowed" to be buried on Har HaZeisim when it was officially occupied in 1967. Then there was the talk about him being a great Talmid Chochom who definitely "had his reasons" (huh?) for what he did, and that we weren't allowed to speak ill of him, even if he did have a din rodef. To top it all off there were those that made much out of the fact the died on Lag BaOmer, they made a whole tzaddik out of him... Jews are weird when it comes to things like that; we don't like to hate anybody, no matter what he may have done, and we look for ways not to hate. מי כעמך ישראל. I'm sure by now he's done Tshuveh, but the problem is his children nebach think that his way was the correct way! And his son Yisroel Meir published the "Siddur Vilne" used by so many who don't even know what they're supporting when they buy it!